Springfield, MO. (July 14, 2016) - Watercolor lovers will have a new reason to visit the Springfield Art Museum beginning this weekend. The Museum will open “Donald Holden: Memory Painter” on Saturday, July 16th. This exhibition brings together 18 works from the Museum’s permanent collection by acclaimed landscape watercolorist Donald Holden. Holden, who trained at the Art Students League in New York, has work in the permanent collection of the Metropolitan Museum of Art, the Smithsonian American Art Museum, and the British Museum, among others. The ethereal paintings featured in our Armstrong Gallery were all generous gifts from the artist to the Springfield Art Museum. This exhibition focuses on two unique aspects of Holden’s work. First, he works intentionally on small scale paintings, creating the illusion of miles of sea and sky within a diminutive frame. The artist notes, “A big painting tells you to step back, keep your distance. A small painting, on the other hand, invites you to step forward and move inside. It invites a more intimate, more intense relationship.” Second, Holden bases his work on places that he has traveled to - Lake Powell, the coast of Maine, the Hudson River Valley - but he never paints onsite. Instead, he recreates his memory of the landscape in his studio, letting his mind distill distractions and nonessential elements. Curator of Art Sarah Buhr notes, “The resulting works are like fuzzy photographs from some strange, alien world. Holden’s ability to render light, through an incredibly subtle tonal range, makes each painting literally glow from within.” Holden’s use of color, brushwork, and artistic license all combine to imbue his small scale landscapes with an essence that is larger than life. This exhibition includes a free gallery guide and a video of the artist at work in his studio. 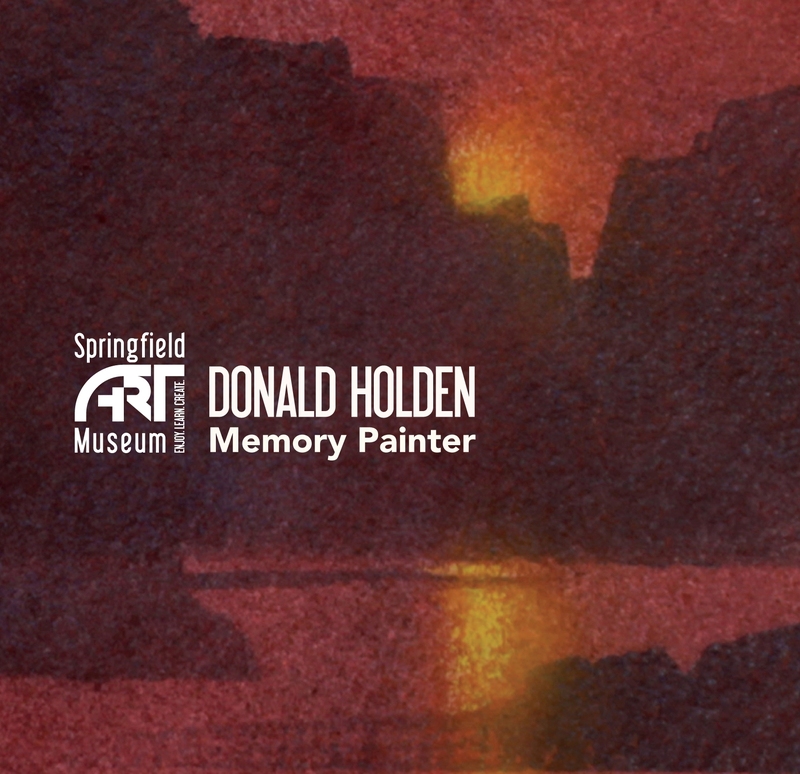 See “Donald Holden: Memory Painter” through October 16th at the Springfield Art Museum, located at 1111 E. Brookside Drive. Can’t get enough watercolor? Make sure to catch “Watercolor U.S.A.” through August 28th. Admission is always free.